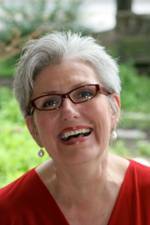 Living Sensationally: FEATURED IN BOOK CLUB DISCUSSION! Today I found an internet site that had a "Friday Book Club" discussion of Living Sensationally. Terri Mauro provides guidance to parents with children who have special needs. Every Friday she reviews books for the Harried Parent's Book Club, and she selected Living Sensationally. She says it "can help you pinpoint your own sensory needs and how they may conflict with your child's." She goes on to say: "Parents ... benefit... from understanding how their own sensory profiles mess with their perception of the world and govern their behavior. It's easy to think that your child's refusal to do or eat or wear something is willful until you realize how often you, without even noticing, make those same sorts of decisions for yourself based on what feels right. 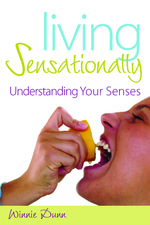 Living Sensationally gives a detailed examination of four sensory styles and how they drive our actions and interactions. It may help you understand how you relate to your child, too, and why arguments arise." Thanks for letting people know about this helpful resource!